Paint Dates - Couples|PaintnPartyOR|Join the Party! PAINTINGS FROM MY ART GALLERY PERFECT FOR COUPLES, SINGLE AND PAINT DATES! On a random day drive this couple from Beaverton, dropped into the Mt. Adams, WA. 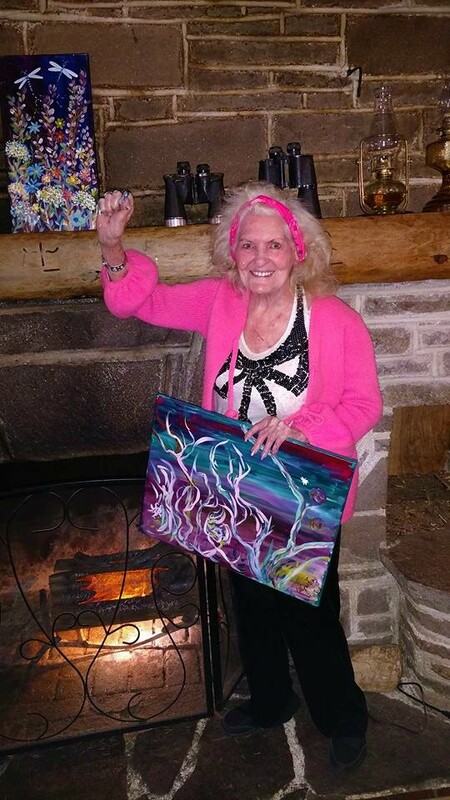 Flying L Ranch to go bird watching and decided to stay over and join our "Secret Butterfly-Dragon Tails" Weekend Retreat PaintnParty and look what happened! HOST A PAINT DATE - COUPLES PAINTING PARTY AND PAINT LEFT RIGHT SIDES AND LOOK WHAT HAPPENS!